Many of the tools we use around the Capitol campus are unique, historic and essential to our mission — in other words, they are cool tools! We asked employees to tell us about their coolest tools, and this feature represents our latest find. In 1873, Congress commissioned Frederick Law Olmsted to design the enlarged grounds of the U.S. Capitol. After careful study, he presented a plan for a sophisticated landscape to surround and highlight the extraordinary building. His symmetrical design incorporated landscaping — careful placement of trees and simple shrubs — and hardscaping — such as edging, lamps and a series of curved walkways that afforded attractive views of the Capitol. To line many of the walkways and define Capitol Square, Olmsted designed low stone walls to keep people from walking across the lawns and treating the grounds like a park. These low walls extend over 5,500 linear feet and feature roughhewn stones cut into rectilinear shapes with distinctive square-beaded mortar joints between them. These squared joints echo the shapes of the stones and call attention to the straight lines in the rock wall. Russell Jones of the AOC Construction Division demonstrates a cool tool for applying grout to the Olmsted wall. 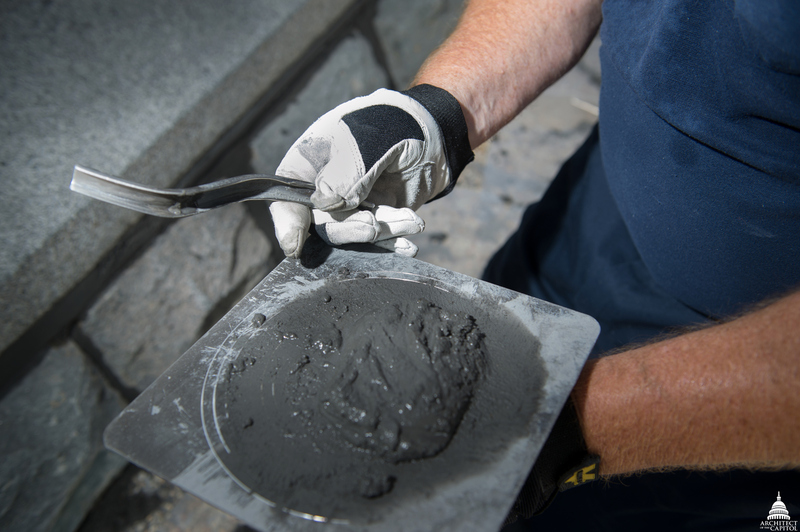 To preserve these walls, Architect of the Capitol (AOC) stone masons must periodically repair and replace the mortar, recreating the same square bead. "It's a lot of work to make sure all of the joints line up," says Russell Jones, a stone mason at the AOC for the past 26 years. Jones created a custom-made tool called a convex jointer that the AOC masons use to make sure all of the mortar appears uniform. 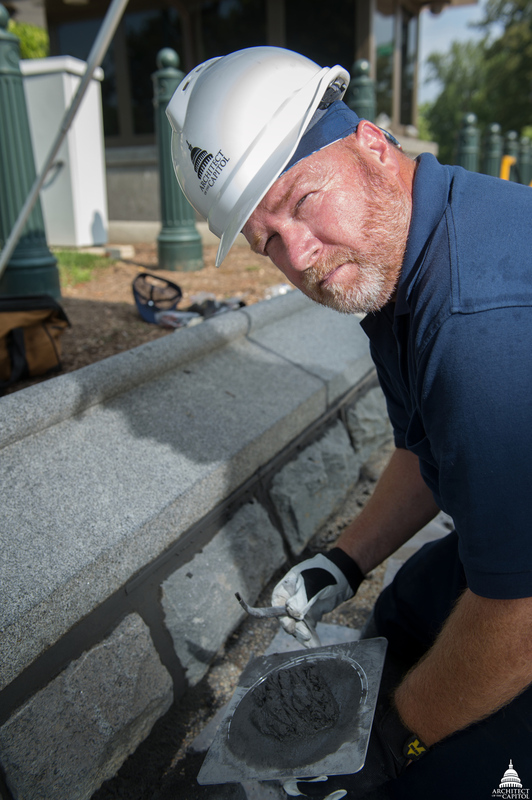 The convex jointer not only helps connect the stones and preserve Olmsted's historic hardscape, but also ties today's masons with their historic predecessors who handcrafted these walls, for that reason we think this is a cool tool.